Eyes in the water is a project created by Gael Fisher, Edinburgh based artist who makes expressive fine art. 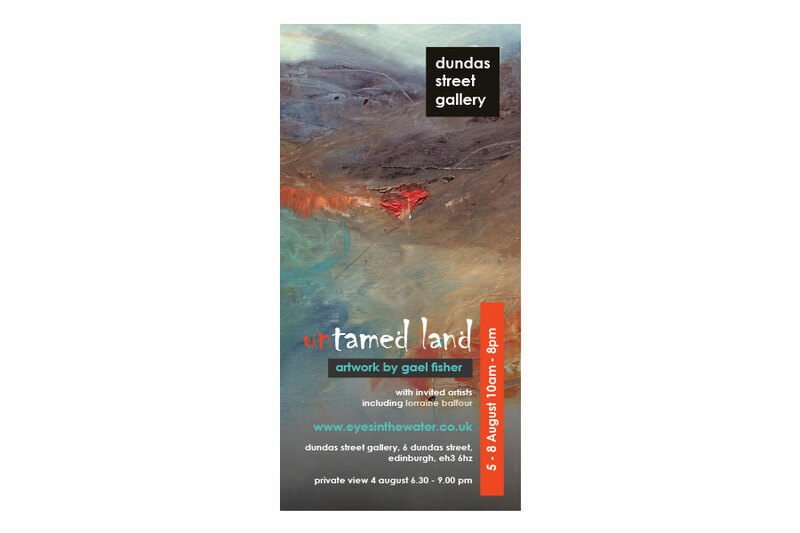 She has been working on a new series of painting called ‘Untamed land’ for a while – and decided to exhibit them in August 2017 in Dundas street gallery, Edinburgh. 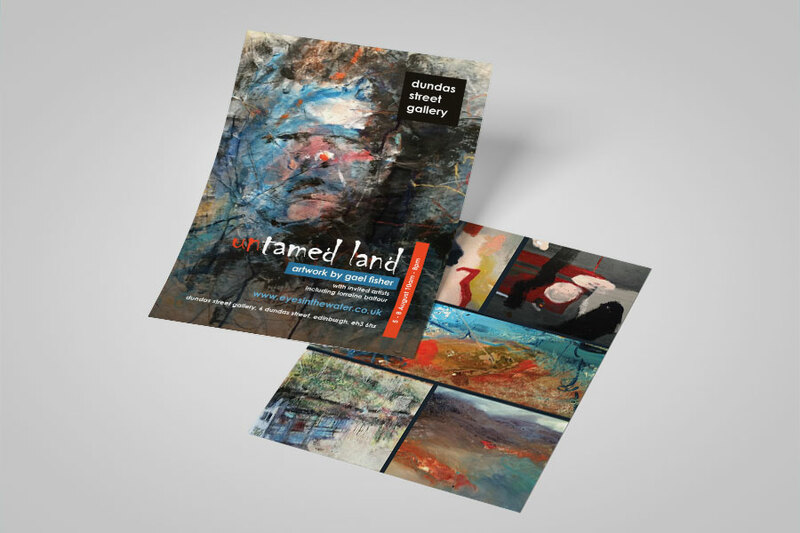 It is necessary to create visually striking campaign to advertise the opening of the exhibition. Below you can see the campaign that I created for the exhibition. 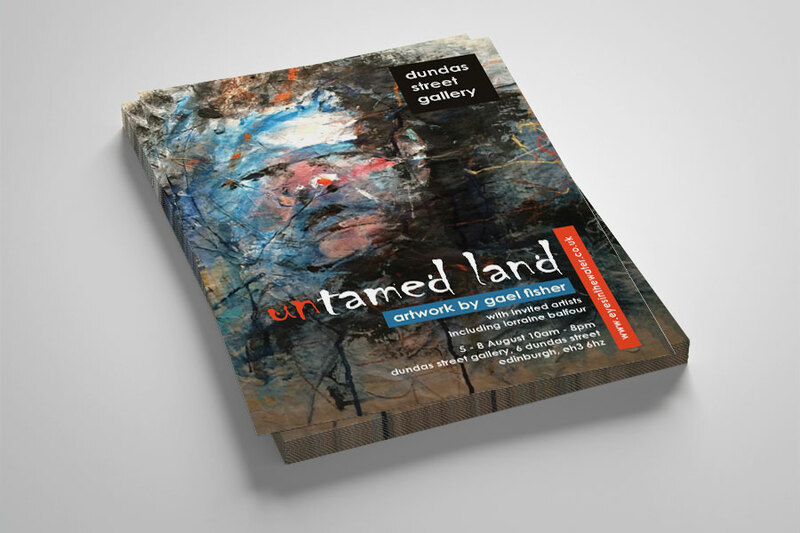 It includes posters, art magazine adverts, personal invitations and leaflets. The exhibition was a great success – and artist managed to sell a good number of painting on the opening night alone. 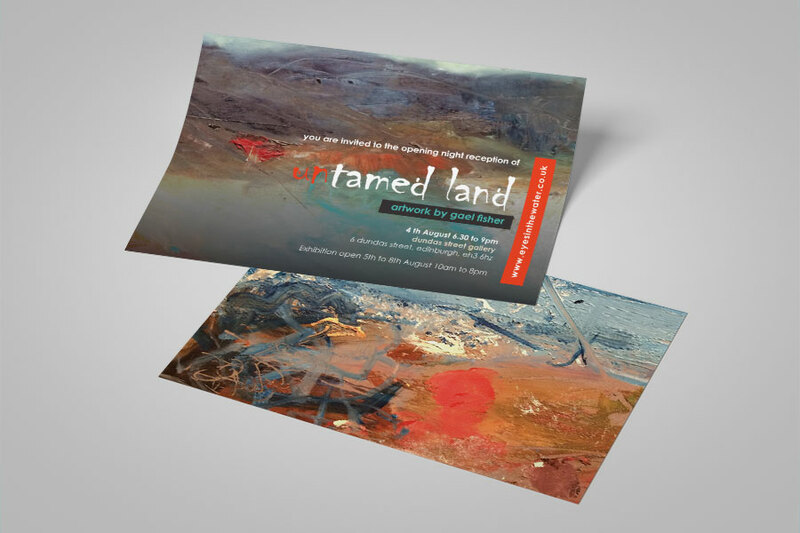 The most important thing was to spread the word about exhibition and get as many people to attend the opening night – which was achieved with the help of printed advertising: leaflets, posters and printed invitations.